According to recent reports from Sam Mobile, Samsung has reportedly started rolling out the Android 4.4 Kitkat update to the Indian versions of the Galaxy Note II (GT-N7100). 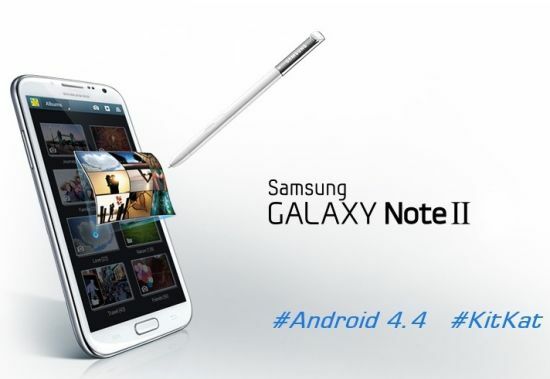 Samsung started rolling out the KitKat update for the Galaxy Note 2 last week in France. The Android 4.4.2 KitKat update for the Samsung Galaxy Note II weighing 416.58 MB will bring several new features and improvements like full touch screen album art, NFC tap-to-pay support, wireless printing functionality, option to set default messaging, and option to bring camera shortcut on the screen. Furthermore, Samsung has included native apps and features, integral to other Galaxy smartphones like Samsung Wallet and Knox security amongst many others. To check if your device has received the updates, go to Settings -> About Phone -> Software update. Samsung Kies can also be used for updating.